There are a lot of different traditions and customs all over the world, and it evolves and develops through time. Various versions, translations, and adaptation are made in every country in which the traditions and customs are originated. Some may forget or did not want to adapt it to their daily lives, but some rely on it their whole life. There are traditions or beliefs around the world, for example when you are getting married or during the wedding ceremony which they say will bring good fortune to your married life. But if you think of it, married life should not be base on the traditions or beliefs that you practice; it will still depend on you and your husband or wife. But at the end of it, people will tell you that there is no harm in trying or in believing. There are also beliefs for the deceased person and during their burial. They say that if tradition or beliefs were followed, it will prevent any bad luck or omen and will only bring good luck to the remaining members of the deceased person. 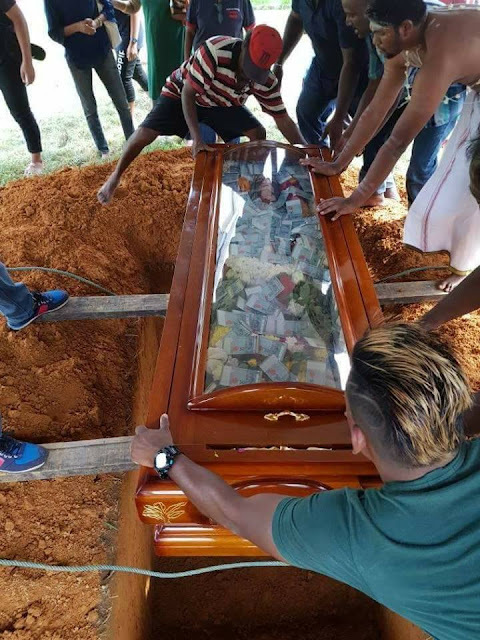 The first photo has a coffin with a dead body and cold cash inside, while the second photo shows that the family members of the deceased person are the ones who are holding the coffin together and they slowly buried it down the ground. 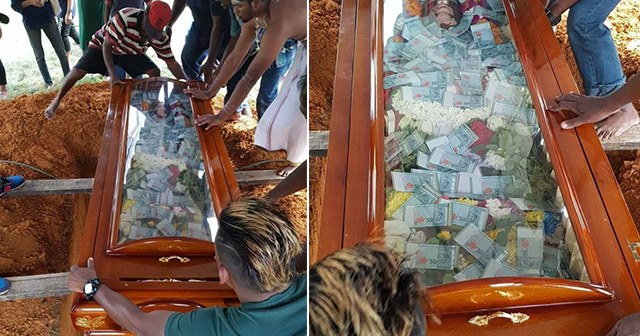 Netizens were quite amused with this expensive and strange way of burial tradition which is practiced in Malaysia. 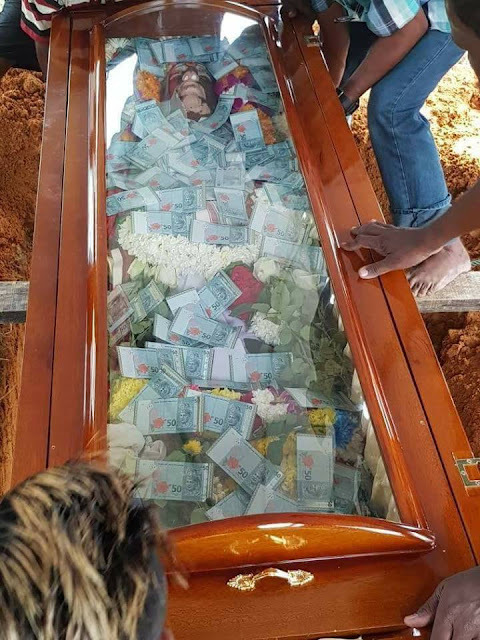 While the practice looks a bit risky knowing that some people might take it by uprooting the coffin from the grave and grabs all the money in it. Malaysians will still take the risk of keeping their traditions and give honor to their loved ones who passed away. Whatever our traditions, beliefs, and customs or a tribe or group of people or places may be, we should all respect it. For some, it may be a simple, superstitious belief, but for many, it’s a tradition that should keep.